In light of the recent and unexpected deaths of both Carrie Fisher and Debbie Reynolds, the documentary BRIGHT LIGHTS: STARRING CARRIE FISHER AND DEBBIE REYNOLDS will debut SATURDAY, JAN. 7 at 8:00 p.m.(ET/PT), exclusively on HBO. The story of a family’s complicated love, this documentary is an intimate portrait of Hollywood royalty in all its eccentricity. 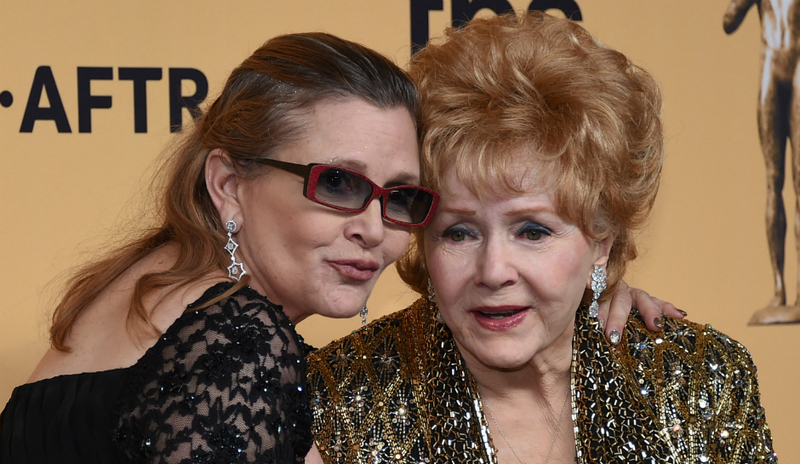 Carrie Fisher and her mother, Debbie Reynolds, live in the same Beverly Hills compound. The 83-year-old grand dame still has a Las Vegas act, but performing is taking its toll. Carrie’s response is both hilarious and heart-rending. Featuring vintage family films that bring iconic old-world Hollywood to life, as well as extensive vérité footage, the film is directed by Alexis Bloom and Fisher Stevens. In addition, as previously announced, the 2010 special WISHFUL DRINKING will receive an encore presentation this Sunday, Jan. 1 at 9:00 p.m. (ET/PT) on HBO. This feature-length adaptation of Carrie Fisher’s hit autobiographical stage production tells the intoxicating tale of her life, combining her raucous one-woman stage performance, interviews with family and friends, and archival footage.